Simply put, I have the professional experience as a CPA with a 30 plus year public accounting career, have owned my own businesses, served on boards and worked with many professionals, most extensively in the tax and accounting areas with individuals and small businesses of all kinds. I have the heart and soul of a wise, seasoned woman who has witnessed people struggle to save, to give, to let co of control. Many of the struggles are self-inflicted. I know because I took a disastrous financial tumble eight years ago and it was AVOIDABLE. That’s right. If I knew then what I know now it would have changed the arc of my financial life but more importantly the arc of my psychological, spiritual and emotional life. There it is…..that disconnection between what we believe and what we do. Our conscious, thinking self who is rational, practical and educated AND the other side, the subconscious. It operates very differently and takes its cues from learned behaviors we have carried around since childhood as well as our emotional state. Think about our intuition, that sixth sense, the hair on the back of our necks standing on end and our gut. Think also about our emotions. We know they exist because we work hard to keep them in check. We know that fear, anxiety and shame can come out of nowhere at inopportune times and leave us feeling guilty and vulnerable. We have these hunches, deeply held beliefs and what can seem like plain old stubbornness. When we observe it in others, it’s hard to understand. They know their best interest isn’t being served and they do it anyway. How many of us have experienced this and how often do we have difficult relationships with family, friends, bosses and colleagues as a result. I understand because I’ve been there too and I want to help you start to experience a shift in your mindset, one step at a time. I share my vulnerability, proving not only do I relate but I feel compassion and empathy. As a financial “survivor”, I have skin in the game. I live my life karmically and I want to help you avoid the mistakes I made. With my guidance and support, I help people who are in pain look at the arc of their lives and to find the hidden truths-the accomplishments AND the things and behaviors that are holding them back. I want to help you take your power back. If you’re saying things like: “So and so won’t let me, I can’t afford it, I won’t be happy until I have x dollars to retire with, I don’t share/save/spend in ways that feel good and I don’t want to spend the time reviewing and analyzing where things are financially…..I’m not good at it, I don’t feel like or I want to blow it off or bury it, pretending it will go away on it’s own. Because I’m good at it. I wake up in the morning ready to coach and encourage them to open the door to their interior life. Some will and some won’t. Some make me work very hard to gain their trust and others challenge me with the depths of their pain. As they say, “It’s all good. My mission is to provide a safe place to explore the vast hidden parts of oneself (not all of them or all at once) to discover the meaning of their life experiences and how it has shaped the person they are today and how they operate in that world. I don’t do the work, they do. I am a process person and by that I mean, I see the path forward for EVERYONE is to trust there is a process that can work. I remind people all the time there is no right answer and there are no mistakes. After all, don’t we beat ourselves and each other enough already? So, let’s get going. No time like the present and small, consistent steps will take us down the right path. Go from confusion to clarity by taking the first step. 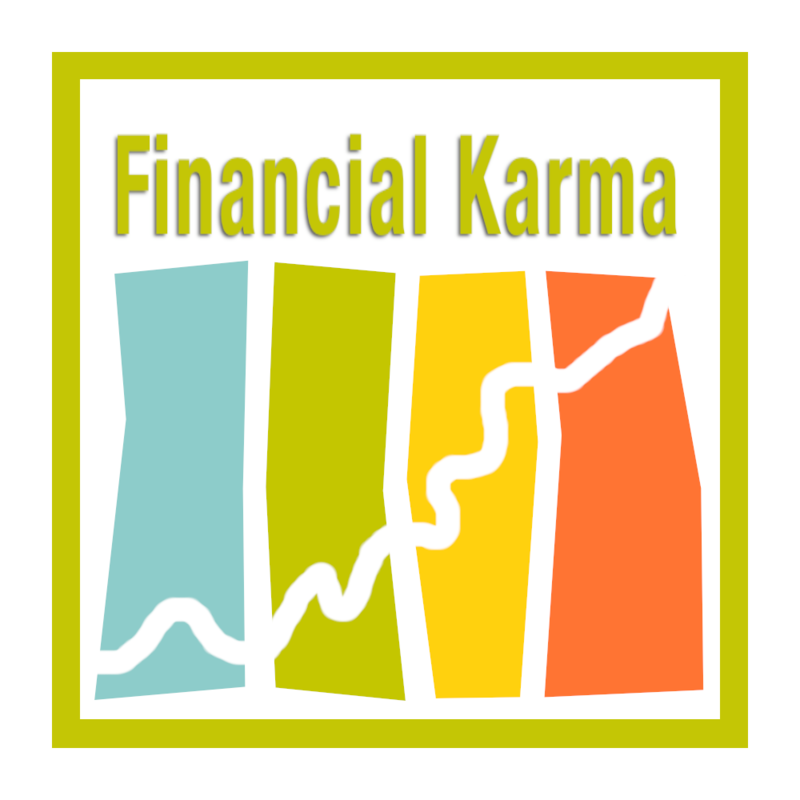 YES, I have a Facebook group and it’s called Financial Karma. Be part of an engaged and thoughtful community of individuals and business owners.